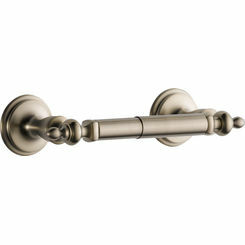 The Brizo 692485-PNCO is a 24" Cocoa Bronze/Polished Nickel Single Towel Bar from the Charlotte Collection. The Charlotte collection brings out bold symmetry combined with a artful bridge that closes the gap between traditional and modern styles. This 24" Wall Mounted Towel Bar is constructed out of Brass with a fancy Vibrant Cocoa Bronze/Polished Nickel finish, this towel bar will not corrode, rust, or tarnish through rigorous daily use. 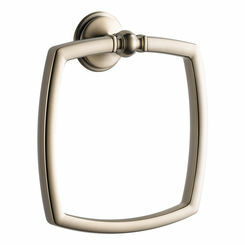 The Brizo 692485-PN is remarkable not only for the sleek stylish design but for the great quality and workmanship that they have put into this great collection. 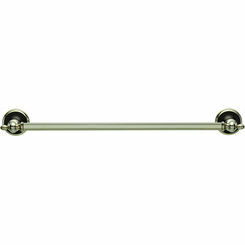 Brizo recommends this towel bar be installed onto wood blocking already existing behind the bathroom wall. 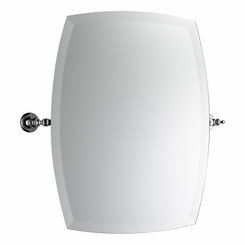 This will guarantee a safer, more sturdy, and secure installation. Brizo a luxury fittings brand for fittings and accessories is brought to you within the portfolio of the Delta Faucet Company. Brizo continues to astonish in both craftsmanship and design, they truly believe that durability and unique looks are a must for any home. The Rook collection by Brizo is made to last and impress now and for years to follow. Rated 5 by jimmy l.